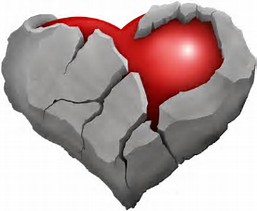 Reblogging: Stone Hearts, by poet, Delia. . A real, tell-it-like-it-is poem about the social jungle and trying to find authenticity where there is little to none. Delia often writes, real, raw and authentic prose and poetry that will catch you unawares, and reach inside you, grab you, and make you see beyond the obvious. K. D.
10 Tips For Proof-Reading and Editing! These are very informative, yet simple and easy to do. Melissa writes that “I spend most of my work hours editing other people’s work and self-editing my own writing. In fact, I spend more time on self-editing than I do on writing. So, I thought I’d share a few of my favorite tips for self-editing.” This is a revisited post from months ago, however, I am editing my recently completed manuscript and I think it is worth reading again! I hope yo think so too! When a friend, family member, or co-worker asks you to look at a draft, do it. Even if you’re busy, even if you don’t feel like it or have your own projects to write and edit, take it on. The more editing you do, the better you get at it, and that means you become better at editing your own work, too. There’s a time and place for editing, and often, the first draft is not it. Some writers craft sentence by sentence, perfecting each paragraph before moving on to the next. If that works for you, great. But if you spend hours stuck on word choice or sentence structure and you can’t move forward with the project, turn off your inner editor, blind yourself to typos and grammar mistakes, ignore bad writing, and just let your fingers fly. When you edit, make sure editing is really what you’re doing. In other words, be aware that editing is not scouring the text for typos and stray punctuation marks. Editing is when we strengthen story, sentences, and paragraphs. Proofreading comes later. That’s not to say we don’t do a little proofing while editing or that we don’t do a little editing while proofing. I know I do. However, I always do a full revision focused on editing and another on proofreading. For more complex pieces, I do multiple edits and proofs. Many writers and editors swear by the printed page. But that’s a messy and inefficient way to edit. If you start editing on-screen, you’ll adjust to the new format and soon find it’s much easier than marking up print. If you’re making big revisions (as you should during editing) and you’re worried about losing the original text, use Microsoft Word’s feature, Track Changes, which does just what you’d expect — it tracks all the changes you make as you edit. Then you can go through and review every edit and accept or reject those changes individually or collectively later. This is also a great way to edit twice — once to make the changes and again to approve them. Your greatest wisdom as an editor is knowing what you don’t know. Having resources in your arsenal is one thing. Using them is something else entirely. Don’t be lazy! Remember that every time you look something up, you learn something new and expand your writing skills. Plus, the more you look things up, the less you’ll need to look them up in the future. Eventually, they become a natural part of your writing process. When you’re proofreading and editing, you need to be meticulous. Don’t cut corners. If you’re not sure about grammar, spelling, punctuation, or context, you need to be able to open up a grammar manual or a style guide, so make sure you have the right resources handy. Be vigilant, be correct, and use good judgment, keeping in mind that sometimes it’s best to bend the rules, but only if you know what the rules are and why you’re breaking them. Before you do anything, run spell-check and use your word processing software’s grammar checking tool (if it has one). Automated checkers don’t catch everything, but they can catch a lot, and that means you’ll have more time and brain energy for manual editing. Also, use the find-and-replace feature, which allows you to quickly find or replace a single error multiple times. For example, many people are still in the habit of using a double space after a period. I always do a find-and-replace to replace all those double spaces with the modern standard: single spaces after every period or terminal punctuation mark. The most crucial aspect of proofreading and editing is reviewing every single word and examining the written work at the word, sentence, and paragraph levels. Plus, you should be able to assess every document or manuscript in its entirety to check for readability, organization, and flow. This means you’ll have to go over each piece numerous times. To separate yourself from the content so you can better evaluate the writing, read slowly and read out loud. You’ll catch a lot of minor mistakes and typos this way. Formatting is actually separate from editing. This involves things like font (size, face, and other formatting options, such as bold or italics), paragraph and line spacing, and indents. Chapter titles and subheadings, for example, should have the same font and spacing. Citations should be formatted with consistency (and preferably, adhering to a style guide). Keep an eye out for inconsistencies in this area. Second pass focuses on wording and readability. Third review focuses on editing for word choice and sentence structure. Fourth pass is proofreading (check for grammar, spelling, punctuation, and typos). This is where I read out loud, slowly. Good Luck with Your Self-Editing! About Health Care in America. Compassion, Empathy, Caring, Hope, these are the qualities that make us human – without them we are put scavengers upon the earth. If this cruel, inhuman debauched “healthcare for the rich bill” is passed, we will know that many of us are indeed not human. Remember what you give to others – will also be served unto you. Again, a rare occurance to get political on my blog. Because whether people agree with me or not, this is a matter of life & death. The AHCA/BCRA must not pass! I do not joke about death. Yet, after asking nicely with no movement & amendments sure to get worse, I know no other way to get through. The 13 authors don’t want to be called heartless or murderers then don’t pass this cruel bill. Some may say it’s extreme, but I’m tired of playing nice & being ignored, & getting canned responses about how I must take more personal responsibility when I’ve taken plenty. Nicole “Nikki” S. died of chronic rejection in a Philadelphia hospital. This post, “Choose The Write” by Didi Oviatt, is a must reblog. She stands for so many of us writers who cherish our freedom to write, what we see, what we know, how we feel, about what needs to be written in the light of day or the darkness of night. Authenticity as a writer is true creativity with out the bonds of convention that tie it down to simplistic platitudes. Please read what author Didi Oviatt says with amazing authenticity. What Book You are Currently Reading? I love the idea of sharing what we are reading and thoughts about the book we are reading. I just finished and reviewed Aggravated Momentum by author Didi Oviatt and it is one of the best mystery murder horror stories I have read. There is no way you can guess the ending. In fact, I barely slept a wink last night. Thank you Charles for another great post that brings people together! I am always interested in hearing what books other people are reading, and the blogging world has many interesting, intelligent, and engaging people in it. I am lucky to have met many of you through this blog. I usually have several books going at one time, so I will mention that I am rereading Stephen King’s Hearts In Atlantis, which I am teaching in my Contemporary Fiction class at the Wescoe School of Muhlenberg College. I am also reading The View From the Cheap Seats by Neil Gaiman and Aggravated Momentum by Didi Oviatt. 5 Stars! This intriguing novel, The Son of Nepal, by author J.J Sylvester, is a fascinating and uniquely beautiful story. It is told with a Middle Eastern flair for story-telling, that I found utterly enchanting. When a novel can transport the reader to a different place and time – that is extraordinary. It is beautifully written, with a lush cadence like prose that moves brilliantly through the entire novel. Johannan, our hero, is very brave in his pursuit to find a cure for his beloved’s blindness and gives himself over to be used by a Great Spirit, such is his desire to return the gift of sight to his beloved. What is Johannan to learn from his quest, as he searches for months on end to find the magical cure, but only a true heart, he has been told, will the Great Spirit choose to grant Johannan’s wish. Johannan suffers great hardship in his pursuit to find a cure for his beloved, and therefore, he should be rewarded, shouldn’t he? Will the parables this novel evokes ring true or will they not? We are often told: be careful what you wish for, true love conquers all, think before you leap, and everything comes with a price!” What price will Johannan pay or will the Great Spirit, bestow on him the happy life that Johannan has sacrificed so much to achieve for his beloved? Johannan’s story is powerful and is so meaningful, even about our own lives, that we should take heed, for we are vulnerable as well. Is what we wish for honorable and good? It is only in our hearts, that will it ring true. 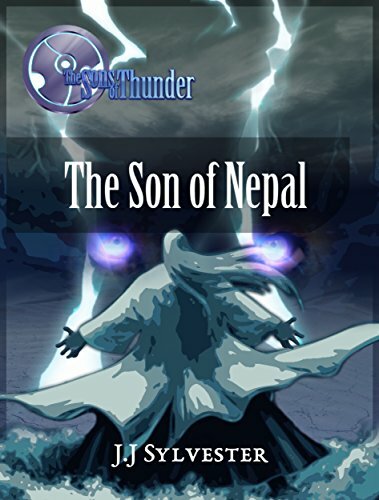 I highly recommend The Son of Nepal. via http://www.bookdaily.com/ There’s no reason to pile on and make your request email an epic read – that’s your novel’s job. When approaching reviewers keep your request on point. Give each blogger exactly what they ask for – no more, no less. Remember, we get lots of emails and the easier you make it for us, the greater your chance of acceptance. Here’s what should always be included. 1. Reviewer’s name: Guess what? You may have to read through the blog a bit to find it. Check contact information. Read all the way to the bottom of submission guidelines. It’s there. Now address your email to an actual person. Don’t write a generic salutation like To whom it may concern, Madam, Sir or other nonsense. Personalize it like Hi, D or Ms. Bale. Start requests using a smidgen of professionalism. 2. Your name: State this in your first sentence and again at close. Something like My name is Wendy Woman, author of Windy Woods, and… Sign off with Sincerely, Wendy/Ms. Woman. You get the drift. 3. Book title: Again, include this in paragraph one similar to the example given in #2. 4. Word count: If your request is for an eBook, include word count. If for print, reference page count. Reviewers need to have an idea of the time investment required. 5. Genre: Thriller, Mystery, etc. In a world of crossovers and sub-genres it can be difficult to classify your novel’s niche. Try and focus on the main thematic element. Is it something taking place in a galaxy far, far away? Science Fiction is for you. A post-apocalyptic world? Dystopian. Who done it? Mystery. Fast-paced, high stakes? Thriller. Even if your novel has elements of romance, action, or mystery classify it under one main heading then choose the underlying classifications to further identify it, such as Romantic Suspense – a romance novel with elements of suspense. As a reviewer if I’m told a novel is thriller, then I expect a fast-paced read. If it ends up plodding and drags my review will reflect this perceived negative due to deviation from the genre’s norms. But if this same book was referenced as a fantasy, I’d expect a more character-based journey and the slower or uneven pace would fit. Therefore my review would not perceive this as a negative. Simply put – KNOW YOUR GENRE – and know it well. 6. Time frame: If you have a hard date for reviews (release party, tour, campaign), tell a potential reviewer up front. Otherwise, don’t even mention time frame in your email. If a hard date is the case, always give a minimum of two months lead time. This allows reviewers to decide if they can meet your deadline. Don’t email two weeks before said date. We may not even get to your request within that time. Conversely, if you are like most authors and have no established date by which you need reviews, don’t say anything about a time frame. Referencing you want a timely review goes back to the slap in the face moment mentioned earlier. We try to make reviews timely – but timely to authors and timely to reviewers are very different. Authors are happy when reviews are posted the following week. Reviewers are happy when we post the following month (or two, three…). 7. Book blurb/synopsis: Sell reviewers on your book. Make it sound like something we’ve gotta read ASAP. Don’t do the lazy thing and simply provide a link. Copy/paste description/synopsis/blurb into the email body. Make it easy for reviewers to take a chance on you, an unknown indie, to want to read your novel. 8. Subject line: State Review Request or Book Review. Don’t get all flowery or funky and make the email subject line long and convoluted. Anything longer won’t show up in a condensed line anyway. See? 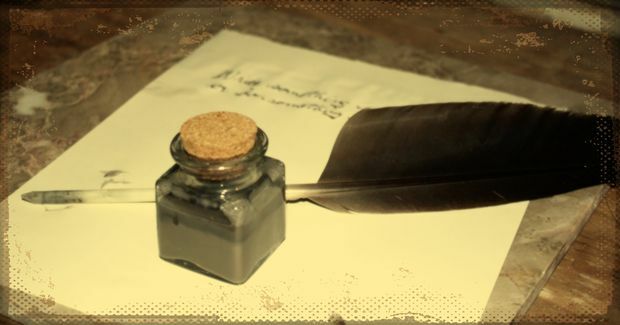 It isn’t difficult to compose a concise request detailing a novel’s basics. You don’t need to write another manuscript to get your point across. You don’t need to brow-beat reviewers or blow sunshine up dark places. You don’t need to denigrate or puff yourself up to get a point across. If reviewers want more simply go off submission guidelines – follow reviewer guidelines first and foremost. Otherwise, lean on the side of KISS – Keep It Simple, Silly! ABOUT THE AUTHOR: In her previous career, D.A. Bale traveled the United States as a Government Relations Liaison, working closely with Congressional offices and various government agencies. This experience afforded her a glimpse into the sometimes “not so pretty” reality of the political sphere. Much of this reality and various locations throughout her travels make it into her writing. She dreams of the day she can return to visit Alaska.